As the winter ice begins to thaw, the fury of a demon gathers all because one girl couldn t stay dead... Roan Harken considers herself a typical high school student dead parents, an infected eyeball, and living in the house of her estranged, currently comatose grandmother (well, maybe not so typical) but she's uncovering the depth of the secrets her family left behind. 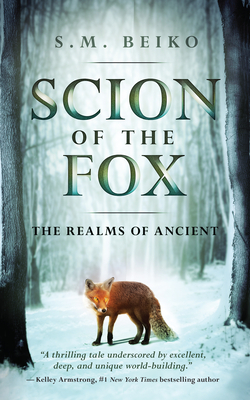 Saved from the grasp of Death itself by a powerful fox spirit named Sil, Roan must harness mysterious ancient power . . . and quickly. A snake-monster called Zabor lies in wait in the bed of the frozen Assiniboine River, hungry for the sacrifice of spirit-blood in exchange for keeping the flood waters at bay. Thrust onto an ancient battlefield, Roan soon realizes that to maintain the balance of the world, she will have to sacrifice more than her life in order to take her place as Scion of the Fox.